The Good Fight season 2 DVD is the 2018 season that starts with an unfortunate event that brings the firm together, along with the prospect of a new name partner; Diane struggles to grapple with the insanity of the world; Maia is confronted with another hurdle in her parents' scandal. Tensions remain high when the firm learns another Chicago lawyer has been murdered by a client; Liz positions herself as a potential ally for Diane; Maia's trial takes an unwelcome turn. 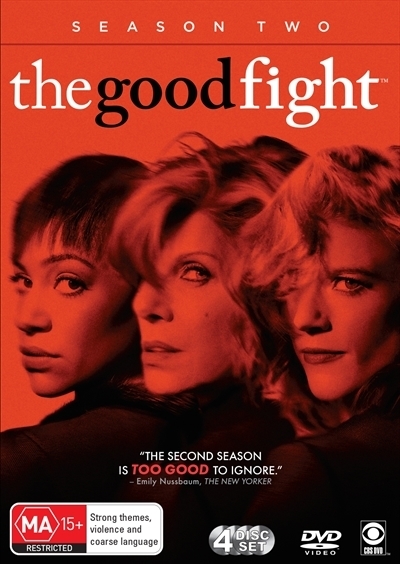 Click the button below to add the The Good Fight - Complete Season 2 to your wish list.